Debbie’s local clean eating 1 1/2-2-hour workshops are done upon request. Everyone in attendance receives a complete clean eating manual designed by Debbie, to take home with them for future reference. You will discuss the “clean eating” lifestyle that Debbie lives by and that has brought so many changes to her life personally, as well as to many people that she knows and has had the opportunity to help. Debbie has spent countless hours researching as well as MUCH time with nutritionists to figure out the best way to EAT to honestly just feel and look better, both inside and out. Debbie is also certified for nutrition in sports and exercise. In addition to getting an understanding of clean eating and what exactly it involves, Debbie also go over calorie consumption, macronutrient breakdowns and the importance of food prepping once a week to help you make better choices throughout the week. For those people that work out consistently and STILL don’t see the results they desire, these clean eating workshops are a must go to. The fact of the matter is, we get healthy in the kitchen and fit in the gym. Debbie and her team want to help you with both. This workshop was designed for everyone wanting to live a cleaner and healthier lifestyle at any level of fitness. 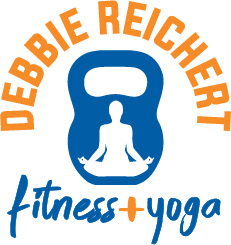 Workshops are held at Debbie’s studio, but she will come to your location of choice if you have a group of at least 10 people that is interested in their own workshop. Contact Debbie for more information. Thanks again for coming to our company to conduct your Clean Eating Workshop for the 25+ people here who are ready to get clean! There will be even more than that soon, now that the word is spreading. I also wanted to pass along that a few of them hit me up right away with how to get ahold of you for some more in depth tips. Our feedback on this event is that they learned a lot of things and want us to look at teaching the folks here about more of what you have to offer. Perhaps we can take advantage of some refresher trainings in clean eating, but also some things dedicated to your healthy recipes and personal training courses. Thanks again for stimulating my people into thinking healthy! I have tried some of the recipes on your blog and thought I would let you know that the ones we have tried have been absolutely delicious. 1) Quinoa Black Bean Salad Recipe– this was so tasty and refreshing. We had never tried quinoa before making our commitment to clean eating and we think it is delicious. There was about 15 minutes of chopping veggies, avocado, herbs, etc to make this recipe. So, not that bad. Start cooking the quinoa while chopping the veggies and by the time the quinoa is done, you will be done chopping. I mixed the quinoa with the veggies and let it chill in the fridge for an hour and served cold. It was so good. A definite ‘make-again’ according to my wife. It would be easy to make a day before and could serve for a lunch the next day. 2) Chicken Parmigiana Meatballs Recipe – I made these and was a little skeptical they would be dry. I make some really good traditional meatballs with pork/veal/beef that are so good so I have high expectations. I was really surprised how good they were. They were juicy and flavorful. Both my boys liked them. I made a batch of them and I call them “protein bombs” because they are a quick and easy snack you can eat if you need a quick protein snack. 3) Hummus Recipe– Just awesome. Easy to make in food processor. I have made several batches and have mixed it up a bit. I added some roasted red pepper one time and also added a little basil and pine nuts another time. It is so easy to make a batch and chop up some veggies and have them around for easy snacking during the week. I found myself using the hummus as a go-to snack instead of my old habit of eating chips/pretzels. Jon P. Columbus, Ohio, former nachos addict.